St. Eustatius, also known affectionately to the locals as Statia or Statius, is a Caribbean island and a special municipality of the Netherlands. 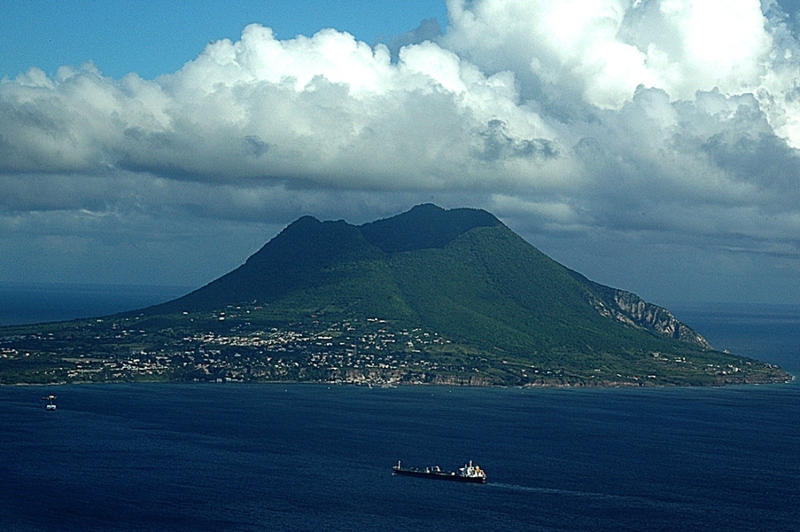 The island is saddle shape, with the 602 meter-high dormant volcano Quill to the southeast and the smaller pair Signal Hill/Little Mountain to the northwest. Three National Park areas protect the high biodiversity and unique tropical ecosystems present on both land and sea. Unaffected by regional tourism trends and fads St Eustatius is not your average Caribbean island, so just close your eyes and imagine the Caribbean 25 or 30 years ago. Statias small population and limited number of visitors, makes the diving and nature here very special. There is an oasis for marine life which thrives in depths from 0 to 300 feet dropping away to the abyssal plane. The warm water and the underwater volcanic fissures and canyons have given this area a diversified diving selection. The natural wealth of the underwater world will surprise you with the deep walls, the extremely healthy coral and the famous flying gurnards that live in these waters. If you are looking to dive walls, pinnacles, reefs or an old archaeological shipwreck site, Statia has it all. The abundance of fish, coral and color makes this truly a divers dreams come true.